Mammootty born Muhammed Kutty on September 17, 1953 to Fatima And Ismail in Chempu near Vaikom, Kottayam district, Kerala is one of the most popular film actors in the history of Malayalam films. He has acted in more than three hundred movies, most of them in Malayalam. He also acted in Tamil, Telugu and Hindi. He is one of those rare actors who has been successful in both mainstream and parallel cinema. 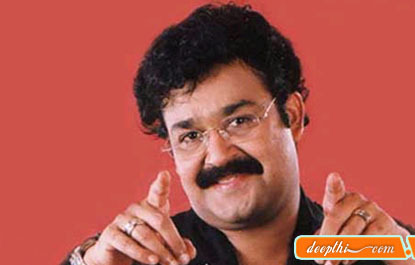 Along with Mohanlal he was the most prominent leading male actor of Malayalam movies through the 80's. He has won thrice the prestigious Bharat Award , the Indian national award for best actor . He grew up with his two younger brothers Ibrahim and Zakariah; and three sisters, Ameena, Sauda and Shafina. He did his high school (pre-degree) at Maharaja's College, Ernakulam and then studied law at Ernakulam Government Law College. It was during his days at Maharajah's that he got his first role a bit part in the film Anubhavangal Paalichakal in 1971. He practised as a lawyer in Manjeri for 2 years. He got married in 1980 to Sulfaath. He has a daughter, Surmi (b. 1982) and a son, Dulquar Salman (1986). Mohanlal Viswanathan Nair (born May 21, 1960), simply known by the stage name Mohanlal, is an Indian actor of mainly Malayalam movies. He is a popular film actor in the state of Kerala and has had striking successes in both mainstream and parallel cinema. Also recognised among the most versatile actors in India, he is a Padmashree awardee. Mohanlal completed 25 years in his acting and continues in the film field with the same image.